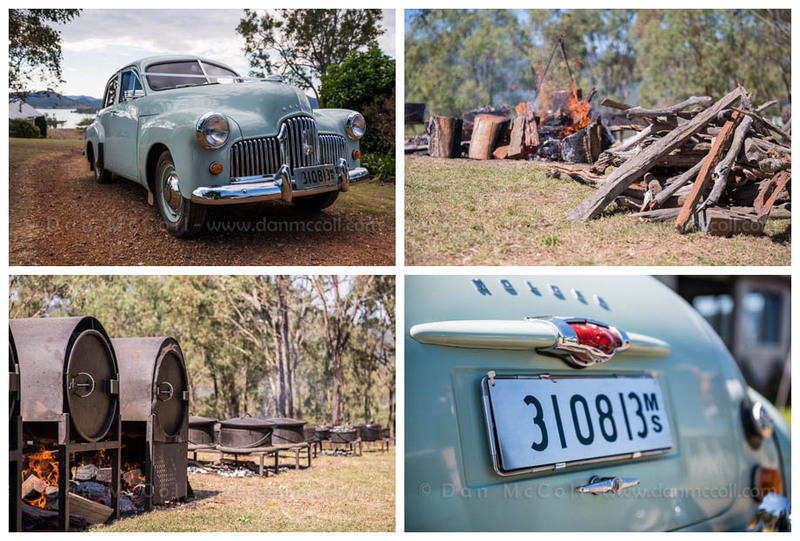 The bridal transport was Matt’s Dad’s restored FX holden, which ran as nicely as it looked. The fantastic feast of food was cooked in camp ovens and the guys spent all day slaving away over hot camp fires to feed everyone. The food was truly fabulous and more than plenty to go around. Steph was a stunning sight to behold, sporting a beautiful gown, a lovely home-made bouquet sourced from wild flowers growing on the property. 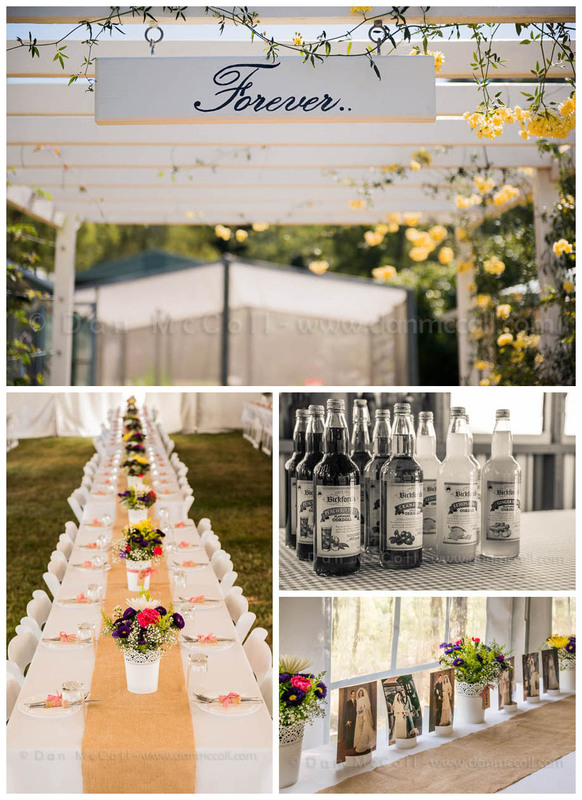 Her fingers were adorned with family heirlooms, passed down through the generations as she prepared herself in the other homestead on the property for her big day. 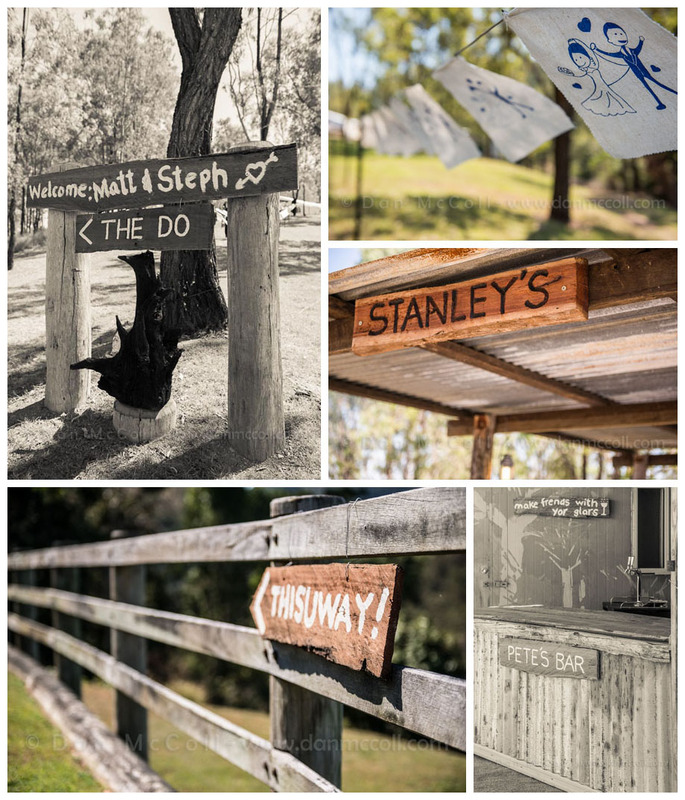 A big Thankyou to Sara from Sassi Photography for having me along to share in Matt and Steph’s special day.